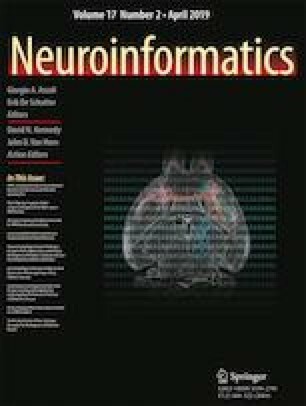 In order to decode human brain, Multivariate Pattern (MVP) classification generates cognitive models by using functional Magnetic Resonance Imaging (fMRI) datasets. As a standard pipeline in the MVP analysis, brain patterns in multi-subject fMRI dataset must be mapped to a shared space and then a classification model is generated by employing the mapped patterns. However, the MVP models may not provide stable performance on a new fMRI dataset because the standard pipeline uses disjoint steps for generating these models. Indeed, each step in the pipeline includes an objective function with independent optimization approach, where the best solution of each step may not be optimum for the next steps. For tackling the mentioned issue, this paper introduces Multi-Objective Cognitive Model (MOCM) that utilizes an integrated objective function for MVP analysis rather than just using those disjoint steps. For solving the integrated problem, we proposed a customized multi-objective optimization approach, where all possible solutions are firstly generated, and then our method ranks and selects the robust solutions as the final results. Empirical studies confirm that the proposed method can generate superior performance in comparison with other techniques. This work was supported in part by the National Natural Science Foundation of China (61422204 and 61473149), and NUAA Fundamental Research Funds (NE2013105). Muhammad Yousefnezhad and Daoqiang Zhang declare that they have no conflict of interest.